Now that Avengers: Age of Ultron has been out for two weeks, I suppose it’s finally time to dive into some spoilers! Those of you who read my review know that I really liked the movie and only had problems with a few minor plot points. But much to my surprise, some of the parts I liked best about the movie included how well they subtly laid the foundations for some of their upcoming movies. Here’s a fairly comprehensive list of what Age of Ultron hinted at in future movies…or so we think. In case you’ve not yet realized: MAJOR SPOILERS for Age of Ultron lie ahead! 1) Baron Strucker- At the very beginning of the movie, the Avengers pull off a daring attack against a HYDRA base to finally get Loki’s scepter back. About freaking time…anyway. The base is being held by Baron Strucker (played by Thomas Kretschmann) who we saw during the credits of Captain America: The Winter Soldier. His role is a fairly small one, but his existence in this universe does hint that maybe there’s another “Baron” out there. Remember how we heard Daniel Brühl had been cast in Captain America: Civil War? He’ll be playing a character named Baron Zemo. 2) Captain America: Civil War– There’ve been a lot of people online who have expressed their disappointment that Age of Ultron didn’t really set up for the upcoming Captain America movie, Civil War. I have two things to say to those people. 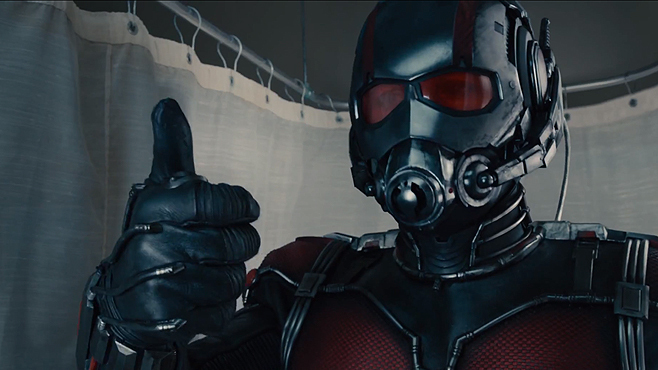 First of all, there’s still another Marvel movie called Ant-Man coming out between now and then. Secondly, were we even watching the same movie? Because I saw the movie where Cap and Iron Man got in a straight-up fist fight. For those of you who aren’t yet aware, Civil War will see the Avengers split down the middle over a piece of legislation regarding superheroes. Primarily, we’ll see Cap and Iron Man going head-to-head on the battlefield, and surely other heroes will follow suit. Age of Ultron may not have directly set up for Civil War, but it certainly highlighted the dissonance between Cap and Tony, and it made audiences more wary to the fact that even though they’re on the same side, they hold two very different ideologies. 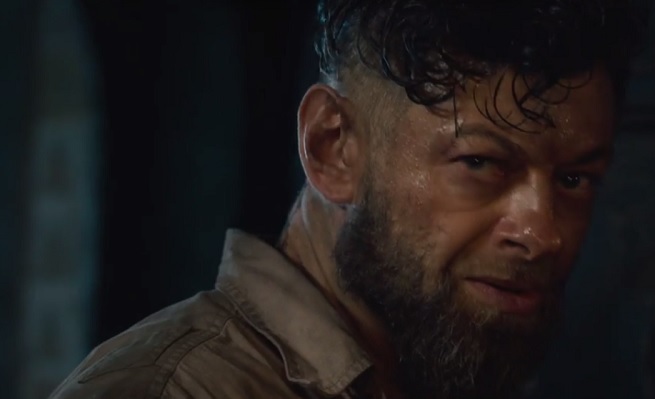 Andy Serkis as Ulysses Klaue. This is also the hometown of T’Challa, the Black Panther. It was announced during last year’s Phase 3 Reveal that Black Panther will get his own movie in 2018, and he’ll be played Chadwick Boseman. In addition to this, we then see a lovely scene where Ultron rips off Klaue’s arm. This is an addition to Marvel’s ongoing Phase 2 Easter Egg, but it’s also a small bit of setup for Black Panther. Serkis will reprise his role as Klaue in Black Panther, where a sonic weapon will take the place of his arm. In this vision, we see Thor’s home world in a wee bit of distress. The whole scene is really vague as to what’s happening, and we never really find out why, but it definitely seems like things are going to be turning quite sour in Asgard in the near future. I don’t know a lot about Thor, but I would hazard a guess and say that all this miiiight have something to do with Loki now sitting on the throne of Asgard. Going back to the topic of Thor’s subplot: After Thor goes to the cave of wonders to have his contractual shirtless scene, he returns and talks about the Infinity Stones. One of these stones is the Mind Stone, which is located in Vision’s head. 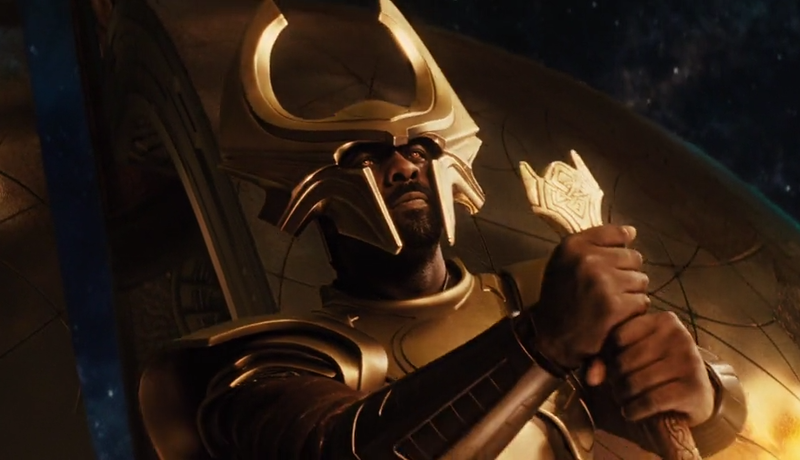 However, this is not the first reference to the Infinity Stones we’ve seen in the MCU. The Tesseract from Avengers, the Aether from Thor: The Dark World, and the Orb from Guardians of the Galaxy are all Infinity Stones. With the addition of two other stones, these objects form the Infinity Gauntlet. We see the Infinity Gauntlet picked up by Thanos in the Age of Ultron mid-credits scene, hinting heavily at the next Avengers installment. 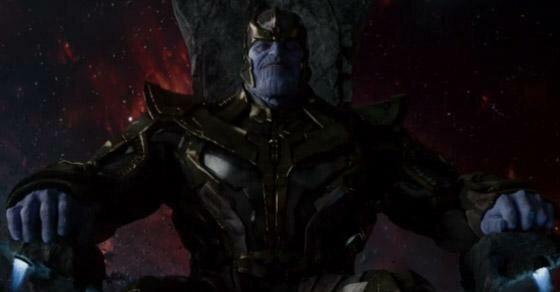 Thanos will likely be the primary villain in Avengers: Infinity War Parts 1 and 2 when they arrive in 2018 and 2019 respectively. There’s a lot to be excited about in the coming years, and Age of Ultron does a pretty good job at dropping hints as to what we might see. What has you excited about Marvel’s Phase 3?